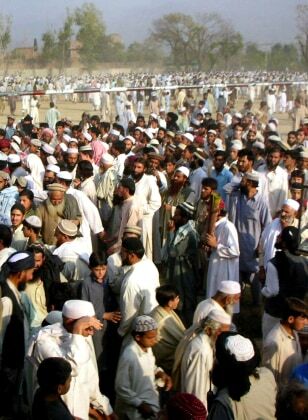 Supporters of a Pakistani militant leader Maulana Fazlullah participate in a Oct. 24 rally in Imam Dheri, a village of the northern district Swat. Fazlullah, a pro-Taliban cleric, has set up a virtual mini-state in Swat. He uses an FM radio station to help spread fundamentalist Islam.